One of the most effective ways to get the word out about your business is through media exposure. But for many entrepreneurs and small business owners, hiring a PR firm just isn’t in the budget. While you can purchase DIY media kits and lists, the whole process of pitching your business and following up can be exhausting. 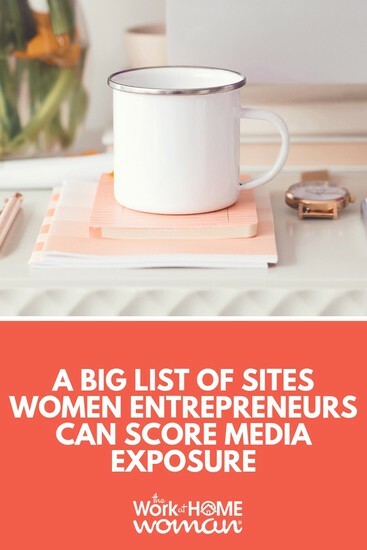 Luckily, there are a lot of online sources that regularly feature female entrepreneurs and business owners in interviews and podcasts. So if you want more media exposure for your blog, direct sales business, or startup here are some sites to get in touch with. But, before you start pitching these media outlets, make sure you follow these steps. Don't just run through this list and send every single one of these outlets an email pitch. Take your time and research each outlet to make sure it's a good fit. Dig around and see what types of stories they usually feature, follow them on their social media channels, leave thoughtful comments on their blogs, and share their stuff. Once you've done your homework and figured out the best outlets, then think about your story angle. 2. What's Your Unique Angle? Publishers and podcasters don't want to publish dull and boring material, that's why it's up to you to figure out what's unique about your story. Did you start a successful home business and you homeschool your seven children? Did you grow your Facebook Page to 100K in four months? Are you earning six figures a month with your blog? These are topics that people want to know about; they want to see how you were able to do it. Take the time to figure out what's unique about you and your business. If you don't have anything noteworthy to share at the moment — wait until you do. You're much more likely to score media exposure if you have a unique story or something special going on that correlates with a theme that the outlet is covering that month. When you submit your pitch, be sure to follow all of the directions that the outlet provides. If they don't have instructions, keep your email short, sweet, and to the point, also be sure to personalize it. Nothing's worse than receiving an email that starts off, Dear Publisher! And whatever you do — don't copy and paste your press release into the body of the email. Pitching someone a story idea is very different than submitting your press release to a distribution site. Check out this article from Forbes; it has some great do's and don'ts for pitching the media. Keep track of your PR efforts by creating a spreadsheet with the outlets you've contacted. Include the date of first contact, the email address, website, name, and any other pertinent information. Having a spreadsheet will help keep you organized, and it will prevent you from contacting the same outlet for the same story over and over again. Believe me; I have received the same pitch multiple times from the same organization, and it's incredibly annoying, unprofessional, and a waste of time for all parties involved. Don't worry — I've already created a PR Pitching Calendar and Spreadsheet for you to use to track your efforts — you can grab it HERE for free. Once you hear back from a media outlet, be sure to follow through on their requests. If they want a written interview back by a specific date, then you better deliver. Missing due dates and submitting sloppy work not only makes you look unprofessional, but it can also destroy your reputation quickly. Be sure to have a professional looking headshot onhand for your interview; you are the face of your business and submitting a grainy photo where you cut your family out of the image isn't going to make a good impression. After the piece has gone live, it's not only thoughtful to send a thank you note to the outlet or individual, but it's much appreciated when you share the feature via your marketing channels. Spreading the love not only helps you, but it also helps them build their audience and traffic as well. Now that you know the basics of pitching — you can scope out which sites would be a good fit for your business. Biz Women Rock features a weekly podcast called, Business Women Wednesday. To be considered for the podcast series, fill out this form. Julie from Business Among Moms features mom-owned businesses and direct sellers in written interviews on her blog, she also has guest blogging opportunities. Join Etsy Sellers, Kelly Parker Smith and Caroline Hull on their weekly podcast, Creative Biz Rebellion — just fill out this form for consideration. Earn Spend Live has an interview series called Real Talk, where they interview female entrepreneurs and professionals. The goal for these interviews is for their audience (young adults ages 18-24) to learn more about how to find success in their field, but the exposure is mutually beneficial for interviewees. Earn Spend Live also accepts guest blog posts from 20-somethings. The Empower Lounge features interviews with Rising Stars (women who’ve launched a business but are under the 1 million revenue mark) and Mentors (women who've built a 1 million dollar + company). The Female Entrepreneur Association features interviews with women who are members of their Members' Club. Currently, there is a waitlist for the Members' Club. The Freelance Mom features interviews and case studies on her website. I didn't see directions on how to apply for consideration, by you can try contacting Lisa via her contact form. HARO (Help A Reporter Out) is a daily email filled with PR queries from bloggers, journalists, writers, magazines, and more. It's 100 percent free to use. All you have to do is sign up for a subscription and reply to individual PR queries. 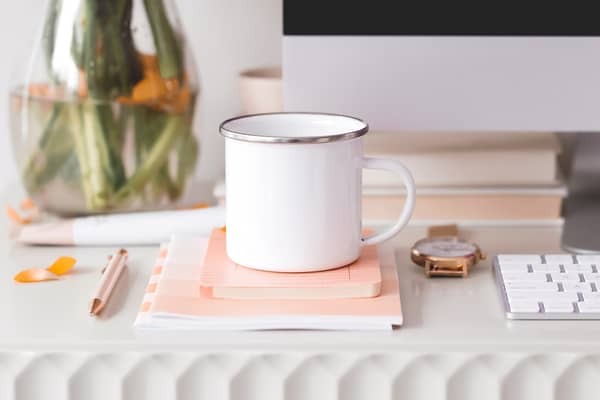 On her popular blog, Gina features success stories from her freelance writing and virtual assistant students, as well as influential freelance writers, bloggers, and virtual assistants. I Want Her Job features interviews and creative submissions (guest blog posts). To be considered for an interview, fill out their online application form, and for creative submissions send your article to talk@iwantherjob.com. Jess Lively is looking for “new guests that uplift, inspire, teach, or help us live a bit more intentionally from a consciousness, energy, and flow perspective.” She is not seeking business-focused guests. If this sounds like you — apply for consideration here. Jessica Murnane is the Author of One Part Plant. Her One Part Podcast features inspiring minds in wellness, music, food, fashion, and design. Follow the directions on this page to suggest a podcast guest. Mom Resource features mom bloggers, simply fill out out the online application for consideration. Shannen Mattern hosts the podcast, Pep Talk for Side Hustlers. While I don't see a formal invite or application on her website, if you have a compelling story you can pitch it to her. Permission to Hustle features Spotlight Hustles from successful women entrepreneurs. SCORE gives successful business owners the opportunity to be featured on their website, in national or local newsletters, press releases and more. Fill out the form on their website for consideration. Melinda Emerson, the “Small Biz Lady” features successful business owners on her Thursday, Twitter Chat, #SmallBizChat. To apply for consideration as a guest, fill out this form. Melinda currently has over 324K Twitter Followers! Beth Buelow is an author, speaker, and professional coach. If you’d like to be considered as a guest for her, How Can I Say This Podcast which is focused on conflict and communication skills, fill out this form. Tiffany Han is a business strategist for highly-creative women. If you'd like to be considered for a guest on her podcast, fill out this form. Yes, here on The Work at Home Woman we occasionally interview women who run businesses from home. We look for success stories with unique angles that we think our audience could learn from. To be considered, email us your story pitch. Web.com features women in business. I couldn't find how to submit your story, so you may have to do some trial and error when trying to contact them. WE Magazine for Women interviews women entrepreneurs who have owned their own company for at least one year and have a story to share. Your business can be located anywhere in the world but must be least 51 percent woman-owned. If you have a mom-owned boutique or business, you can apply for Why Not Mom's featured interview series. Tonia also has opportunities for guest blog posts. Women on Business used to feature women in business interviews. I'm not sure if they are still doing this, but you can contact them via their online form. Women on Business also accept guest blog posts. Leslie from Work-At-Home Success offers both women and men on her site, media exposure through her Success Story Interviews. Being featured on major websites and popular podcasts isn't rocket science, it just takes a little due diligence on your part. Remember to keep track of your efforts (with our free calendar and spreadsheet) and to follow up when needed, but don't be overly assertive. If you don't receive a response after your follow-up email, take it as a sign that they're not interested. Do you know of a website, podcast, or blog that offers female entrepreneurs media exposure? Feel free to drop your link below. If you enjoyed this post — please share it on your favorite social media site. Do You Want Your Press Release to be Noticed? Originally published on June 6, 2014. Content updated on April 17, 2019. I’ll have to add this to the list! This is one of the best sites I have ever visited. We all need to support women entrepreneurs in every aspect. The content is very informative. Thank you for sharing it. This is awesome Holly, thanks for sharing this list with us! Any exposure we can get would be great for business. I’ll definitely check out these lady bosses! Glad you enjoyed the list, Cori. Appreciate you spreading the love! I love crafting in fact I’m obsessed with it and would love to make it a side business. I won’t call it a job because it’s so much fun. I’m really interested in this. I would like to do audio typing, medical audio typing or and copy typing for your company. The Work at Home Woman is not a hiring agency, but a career resource for job leads, ideas, and information. Please follow up directly with companies that are listed on the website. Awesome thanks! As a woman who provides solutions to women who have lost their hair, it is hard as my business is not a word-of-mouth type of business. It’s a very delicate topic, so the more ways to spread the word about amazing new technology in the hair replacement business, the better! Glad you enjoyed the list, Linda. I interview mom entrepreneurs and will be re-launching a media specific podcast soon.